Jared Kushner is seen everywhere but never heard. Protected by his father-in-law and by being an appointee not subject to Senate confirmation, Kushner is the president’s leading adviser, having acquired more job titles than all Trump’s cabinet members together. Yet he is up to his neck in potential conflicts of interest. 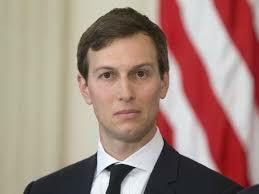 His real estate firm, the Kushner Companies, from which Jared continues to benefit, is involved in hundreds of millions of dollars in ventures with foreign partners, most prominently Israelis (www.nytimes.com/2017/04/26/us/politics/jared-kushner-beny-steinmetz.html). The real estate acquisitions these partnerships undertake are invariably secretive. The Times investigators dug deep into public records to uncover one particular set of deals in which Kushner received loans from an Israeli family that is up to its neck in shady practices. But Kushner has refused to reveal many other transactions with overseas entities and individuals that could be compromising as he acquires more and more foreign policy portfolios. The term “filthy rich” is meant to describe exceptional wealth. But for people like Kushner and his hidden partners, the emphasis should be on filth, as in corrupt. These people don’t play by the rules, hide their deals in shell companies and minimal record-keeping, and rarely speak for the record. And their greed knows no boundaries, as witness Trump’s tax plan to further enrich the already rich. Oh my this is just a sugar plum compared to where Trumps money is coming from â Russia and God knows wherever. Look at the Tax Plan. A 15 percent tax rate for him and his companies and elimination of that pesky Alt. Min. Tax, investment income tax goes to 20 percent, and Inheritance tax eliminated. Wow this is far worse that Reagan or Clintonâ¦..Oligarch Plutocracy anyone? So much for the populistâ¦. I agree. He might be pro environment…but he is still filthy rich…stinky really.